The woodwind program provides excellent instruction provided by a world class faculty. Virtually all of the woodwind teachers are recognized performers, living the careers that our students seek for themselves. 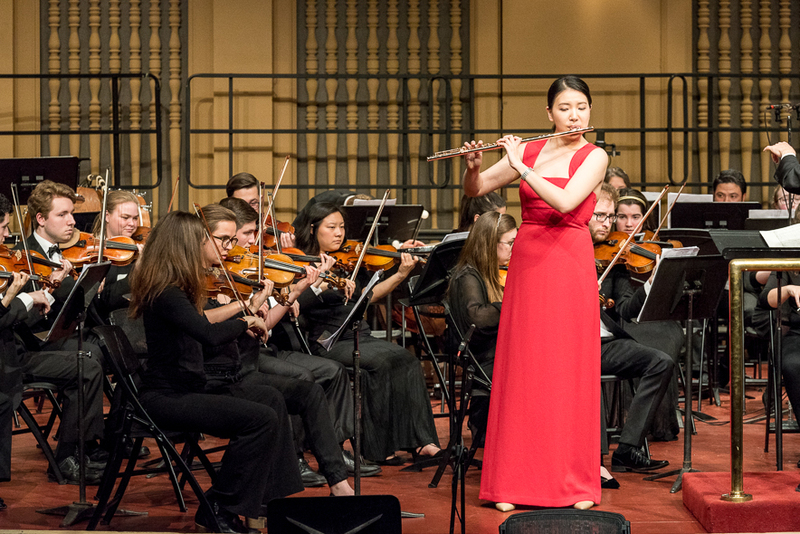 In addition to scheduled private lessons and master classes, woodwind students have the opportunity to study orchestral repertoire, and to participate in chamber music ensembles. A robust performance environment includes a symphony orchestra, two wind ensembles, and a variety of jazz ensembles. Woodwind graduates regularly take their places in the profession as performers and as teachers at every level. Graduates can be found in such orchestras as the Chicago Symphony and the Cincinnati Symphony, and in bands of the United States Armed Forces. Duquesne grads are respected teachers at every level from the public schools through universities. The Triano Woodwind Quintet, an exciting opportunity for students interested in graduate studies, is now accepting applications.